a. Name of the organization. a. A description of the organization’s activities. a. Location of the organization’s headquarters. a. Number of countries where the organization operates, and the names of countries where it has significant operations and/or that are relevant to the topics covered in the report. a. Nature of ownership and legal form. a. Total number of employees by employment contract (permanent and temporary), by gender. The number of workers who are self-employed, or workers other than employees or supervised workers, including employees and supervised employees of contractors, who perform a substantial amount of work for Brambles and its businesses is not material. e. Any significant variations in the numbers reported in Disclosures 102-8-a, 102-8-b, and 102-8-c (such as seasonal variations in the tourism or agricultural industries). There were no significant variations in employment numbers due to seasonal or similar variations for Brambles or its businesses in FY18. a. A description of the organization’s supply chain, including its main elements as they relate to the organization’s activities, primary brands, products, and services. a. Whether and how the organization applies the Precautionary Principle or approach. a. A list of externally-developed economic, environmental and social charters, principles, or other initiatives to which the organization subscribes, or which it endorses. a. A list of the main memberships of industry or other associations, and national or international advocacy organizations. a. A statement from the most senior decision-maker of the organization (such as CEO, chair, or equivalent senior position) about the relevance of sustainability to the organization and its strategy for addressing sustainability. a. A description of key impacts, risks, and opportunities. a. A description of the organization’s values, principles, standards, and norms of behavior. a. Governance structure of the organization, including committees of the highest governance body. a. Process for delegating authority for economic, environmental, and social topics from the highest governance body to senior executives and other employees. a. Whether the organization has appointed an executive-level position or positions with responsibility for economic, environmental, and social topics. a. Processes for consultation between stakeholders and the highest governance body on economic, environmental, and social topics. a. Whether the chair of the highest governance body is also an executive officer in the organization. a. Nomination and selection processes for the highest governance body and its committees. a. Processes for the highest governance body to ensure conflicts of interest are avoided and managed. a. Highest governance body’s and senior executives’ roles in the development, approval, and updating of the organization’s purpose, value or mission statements, strategies, policies, and goals related to economic, environmental, and social topics. a. Measures taken to develop and enhance the highest governance body’s collective knowledge of economic, environmental, and social topics. a. Processes for evaluating the highest governance body’s performance with respect to governance of economic, environmental, and social topics. a. Highest governance body’s role in identifying and managing economic, environmental, and social topics and their impacts, risks, and opportunities – including its role in the implementation of due diligence processes. a. Highest governance body’s role in reviewing the effectiveness of the organization’s risk management processes for economic, environmental, and social topics. a. Frequency of the highest governance body’s review of economic, environmental, and social topics and their impacts, risks, and opportunities. a. The highest committee or position that formally reviews and approves the organization’s sustainability report and ensures that all material topics are covered. Brambles 2018 Sustainability Review was reviewed and approved by the Board (including the Chief Executive Officer), Executive Leadership Team and other senior management, including the Company Secretary. a. Process for communicating critical concerns to the highest governance body. a. Total number and nature of critical concerns that were communicated to the highest governance body. 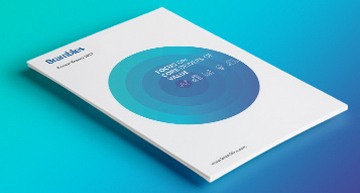 Material economic, environmental and social impacts, risks and opportunities are covered in the 2018 Annual Report and 2018 Sustainability Review. Please see 2018 Sustainability Review - supplementary information for more information. Brambles has a whistleblowing line (via internet and telephone) by which concerns relating to, amongst other things, breaches of Brambles’ code of conduct can be raised (anonymously if the complainant wishes). A number of matters were raised through the whistleblowing line during FY18. The Brambles Board is provided with summary details of all whistleblowing matters raised and more detailed reports of serious matters. All matters raised were investigated and, where appropriate, disciplinary action was taking, including termination of employment. Brambles also has a bi-annual management declaration process. Material issues raised as a part of that process are reported to the Audit Committee of the Brambles Board. a. Process for determining remuneration. a. How stakeholders’ views are sought and taken into account regarding remuneration. a. Ratio of the annual total compensation for the organization’s highest-paid individual in each country of significant operations to the median annual total compensation for all employees (excluding the highest-paid individual) in the same country. The ratio of CEO compensation to median annual total compensation for all employees (excluding CEO) (base salary only, no bonuses or incentives) for Brambles for FY18 is 0.0207.
a. Ratio of the percentage increase in annual total compensation for the organization’s highest-paid individual in each country of significant operations to the median percentage increase in annual total compensation for all employees (excluding the highest-paid individual) in the same country. In FY18, the ratio of the annual total compensation for the CEO (base salary only, no bonuses or incentives) to employee median annual compensation (base salary only, no bonuses or incentives) narrowed by 48% from FY17 (0.014). a. A list of stakeholder groups engaged by the organization. a. Percentage of total employees covered by collective bargaining agreements. Collective bargaining agreements are in place in the following countries and regions; Australia & New Zealand (Non Salaried Employees), Benelux, France, Germany, Canada, LATAM, UK, Ireland, Italy & Spain. The number of employees covered by collective bargaining agreements varies depending on whether the agreement is Country/Region based (Benelux, France, Germany, Canada, LATAM), Industry Wide (Spain & Italy), Unionised Location based (UKI Severnside, Birmingham, Pontefract, Manchester, Durham and Ireland Plants) or Enterprise agreements for non salaried in both Australia and New Zealand. a. The basis for identifying and selecting stakeholders with whom to engage. a. The organization’s approach to stakeholder engagement, including frequency of engagement by type and by stakeholder group, and an indication of whether any of the engagement was undertaken specifically as part of the report preparation process. a. A list of all entities included in the organization’s consolidated financial statements or equivalent documents. a. An explanation of the process for defining the report content and the topic Boundaries. a. A list of the material topics identified in the process for defining report content. a. The effect of any restatements of information given in previous reports, and the reasons for such restatements. a. Significant changes from previous reporting periods in the list of material topics and topic Boundaries. a. Reporting period for the information provided. a. If applicable, the date of the most recent previous report. a. The contact point for questions regarding the report or its contents. 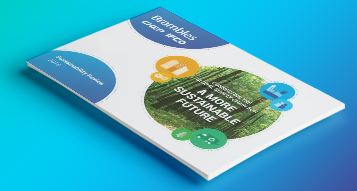 Brambles' 2018 Sustainability Review has been prepared in accordance with the GRI Standards: Comprehensive option. a. The GRI content index, which specifies each of the GRI Standards used and lists all disclosures included in the report. a. A description of the organization’s policy and current practice with regard to seeking external assurance for the report. iii. Whether and how the highest governance body or senior executives are involved in seeking external assurance for the organization’s sustainability report. a. An explanation of why the topic is material. a. An explanation of how the organization manages the topic. Take urgent action to combat climate change and its impacts* (energy efficiency) * Acknowledging that the United Nations Framework Convention on Climate Change is the primary international, intergovernmental forum for negotiating the global response to climate change. a. If the plan’s liabilities are met by the organization’s general resources, the estimated value of those liabilities. c. If a fund set up to pay the plan’s pension liabilities is not fully covered, explain the strategy, if any, adopted by the employer to work towards full coverage, and the timescale, if any, by which the employer hopes to achieve full coverage. a. When a significant proportion of employees are compensated based on wages subject to minimum wage rules, report the relevant ratio of the entry level wage by gender at significant locations of operation to the minimum wage. Brambles operates in more than 50 countries around the world. Brambles' businesses comply with all relevant labor laws, including minimum wage regulations. The most significant locations of operation for our employees include USA, South Africa, UK and Australia. Due to the complexity of minimum wage regulations in these countries, Brambles has not determined the ratios of employee wages to minimum wage levels (for eg, in both the USA and Australia, these regulations are mandated at a state level, not country level). Less than 2% of employees as at 30 June 2018 were temporary workers. In countries where no minimum wage levels are regulated, Brambles pays a salary at the appropriately benchmarked market rate. a. Percentage of senior management at significant locations of operation that are hired from the local community. Brambles' executive leadership team is reported on our website here. The President for each of our businesses/regions (CHEP, IFCO and BXB Digital) was hired from and is located in, the region of operation. As at 30 June 2018, approximately 81% of senior management are of the same nationality as the country they work in (defined as band 4–7 employees - see our Supplementary Review document for more information on how our employees are classified at www.brambles.com/sustainability-review). a. Extent of development of significant infrastructure investments and services supported. a. Examples of significant identified indirect economic impacts of the organization, including positive and negative impacts. a. Percentage of the procurement budget used for significant locations of operation that is spent on suppliers local to that operation (such as percentage of products and services purchased locally). a. Total number and percentage of operations assessed for risks related to corruption. Brambles Anti-Bribery and Corruption policy is contained within the Code of Conduct and applies to all individuals working for or on our behalf at all levels, including senior managers, officers, directors, employees (whether permanent, fixed-term or temporary), consultants, contractors, trainees, seconded staff, casual workers and agency staff, third party service providers, agents, sponsors, or any other person associated with us, wherever located. Brambles and its businesses were not the subject of any confirmed cases of corruption or bribery relating to any government, regulatory, industry association, or similar body, in the past four years. We have robust internal processes of overseeing and managing compliance with our Code of Conduct policies, including our Anti-Corruption and Bribery Policy, where action may be taken in the case of any internal breaches as deemed appropriate. Our internal processes are conducted on an ongoing and continual basis. Compliance with the Code of Conduct, including the Anti-Bribery and Corruption Policy, is confirmed through Brambles bi-annual management declaration process. There were no material breaches of the Code of Conduct, related to corruption and bribery of government officials in FY18, and no such matters were identified in the bi-annual management declarations, or otherwise, in FY18. Brambles has a Sustainability Risk Committee whose function includes assessing the sustainability risks to which Brambles is subject. That Committee has assessed Brambles as being subject to the risk of bribery and corruption and has assessed that risk as unlikely but with a high consequence of reputational harm should it arise. a. Total number and percentage of governance body members that the organization’s anti-corruption policies and procedures have been communicated to, broken down by region. All employees receive regular training on the Code of Conduct, which includes Brambles Anti-Bribery and Corruption Policy. A new training program about the Code of Conduct was made available to employees online in 2016. This training is mandatory; however, only 95% of employees completed the mandatory Code of Conduct training in FY18. Steps are being taken to implement stronger enforcement mechanisms for FY19. a. Total number and nature of confirmed incidents of corruption. There were no material breaches of the Code of Conduct, including matters relating to corruption and bribery, in the bi-annual management declarations, or otherwise, in FY18. a. Number of legal actions pending or completed during the reporting period regarding anti-competitive behavior and violations of anti-trust and monopoly legislation in which the organization has been identified as a participant. Brambles has not had any material fines or settlements related to anti-competitive practices in the past four fiscal years, including FY18. a. Percentage of recycled input materials used to manufacture the organization’s primary products and services. a. Percentage of reclaimed products and their packaging materials for each product category. a. Total fuel consumption within the organization from non-renewable sources, in joules or multiples, and including fuel types used. a. Energy consumption outside of the organization, in joules or multiples. a. Energy intensity ratio for the organization. a. Amount of reductions in energy consumption achieved as a direct result of conservation and efficiency initiatives, in joules or multiples. a. Reductions in energy requirements of sold products and services achieved during the reporting period, in joules or multiples. a. Total volume of water recycled and reused by the organization. a. Size and location of all habitat areas protected or restored, and whether the success of the restoration measure was or is approved by independent external professionals. a. Gross direct (Scope 1) GHG emissions in metric tons of CO2 equivalent. a. Gross location-based energy indirect (Scope 2) GHG emissions in metric tons of CO2 equivalent. a. GHG emissions intensity ratio for the organization. a. GHG emissions reduced as a direct result of reduction initiatives, in metric tons of CO2 equivalent. a. Production, imports, and exports of ozone-depleting substances (ODS) in metric tons of CFC-11 (trichlorofluoromethane) equivalent. a. Total number and total volume of recorded significant spills. Brambles had no significant spills during FY18. Brambles had no significant spills in FY18. Brambles primarily operates in commercial and industrial areas. This minimises the impact of our operations, since these areas are designed for such use. Brambles did not receive any significant fines or non-monetary sanctions for non-compliance with environmental laws and regulations in FY18. a. Percentage of new suppliers that were screened using environmental criteria. Brambles is committed to the highest level of compliance with all applicable laws and regulations, including all applicable sanctions, environmental and other laws. As set forth in the Supplier Policy, which forms a part of our Code of Conduct, we expect the same of those with whom we do business. For that reason, Brambles has been working on a Due Diligence Procedure which is part of the supplier onboarding process. This Due Diligence is designed so that, before any New Third Party is hired or rehired, the Global Procurement Team's Onboarding Employee can say that Brambles' relationship with it is a normal, justifiable one, and that the New Third Party will abide by Brambles' Supplier Policy, including the provisions governing sanctions, environmental laws, and other laws. This applies to all suppliers that are the responsibility of our global procurement team, which is responsible for sourcing raw materials, real estate and business services. This includes the following expectations in relation to the environment: · We expect our suppliers to follow the principles outlined in our Zero Harm commitment; · It is a minimum requirement that all supplier operations comply with all relevant environmental laws and regulations; · Our suppliers should seek to minimise their environmental footprint, in turn helping Brambles to minimise its customers’ negative effects on the environment; · We expect our suppliers to have a proactive approach to environmental risk management and manage natural resources responsibly; and · We require major suppliers in sectors with a high environmental impact to provide evidence of their systems for ensuring good environmental performance. Code of Conduct. In addition, new wood suppliers in countries that source chain of custody certified wood (such as those in Europe and Australia) that do not have chain of custody certification must commit to becoming chain of custody certified. If the new supplier does not achieve certification within six months, CHEP ceases purchasing wood from the supplier. Our largest potentially negative environmental impact comes from our purchasing of timber. CHEP is committed to sourcing timber from sustainable sources. CHEP has a strong preference for timber from certified forest resources and certified mill sources carrying chain of custody certification through to CHEP. This reduces the potential negative environmental impact of sourcing timber. Where timber from certified forest resources or certified mill sources is not available, or is only available on a commercially unacceptable basis, CHEP undertakes due diligence to establish confidence the timber received by CHEP comes from legally harvested forest resources and does not contain timber categorised as from Controversial Sources. CHEP South Africa purchased a timber mill in FY15, which carries FSC certification. As far as we are aware, none of CHEP's timber suppliers were in breach of our timber sourcing policy in FY18. a. Number of suppliers assessed for environmental impacts. a. Total number and rate of new employee hires during the reporting period, by age group, gender and region. a. Total number of employees that were entitled to parental leave, by gender. a. Minimum number of weeks’ notice typically provided to employees and their representatives prior to the implementation of significant operational changes that could substantially affect them. Brambles operates in 50+ countries around the world and complies with all relevant labor laws, including regulations in relation to notice periods. Due to the different types of collective bargaining agreements in place (see 102-41) and the complexity of notice period regulations, Brambles has not collected this data. However Brambles does ensure that the minimum consultation and notice period is complied with as required in times of significant business change. a. The level at which each formal joint management-worker health and safety committee typically operates within the organization. 100% of Brambles employees are represented in formal organisational safety committees. In the mature business units, all facilities hold frequent meeting health and safety committee meeting which is a mix of management and workforce representations. Newer acquisitions migrate to this process as part of the integration process into Brambles. In addition, the Brambles European Works Council, formed in 2004, meets formally on an annual basis and representatives give their views on a range of issues, including health and safety. The Group Senior Vice President - Human Resources and other senior management from CHEP and Brambles take part in discussions with Works Council members at these meetings. Brambles Injury Frequency Rate (BIFR). FY18 BIFR figures have been verified by third-party limited assurance in the 2018 Sustainability Review. Brambles has minimal exposure to occupational illnesses. The key risks for injury in Brambles businesses include all driving and the segregation of pedestrians from vehicles and equipment. The major types of injury include strains, nail punctures, lacerations and slips. These issues were addressed by safety initiatives during FY18 and remain an ongoing focus for all business units. Our Zero Harm Charter and safety management system applies to all of our business segments and employees. a. Whether there are workers whose work, or workplace, is controlled by the organization, involved in occupational activities who have a high incidence or high risk of specific diseases. a. Whether formal agreements (either local or global) with trade unions cover health and safety. The Brambles European Works Council, formed in 2004, meets formally on an annual basis and representatives give their views on a range of issues, including health and safety. The Group Senior Vice President - Human Resources and other senior management from CHEP and Brambles take part in discussions with Works Council members at these meetings. a. Type and scope of programs implemented and assistance provided to upgrade employee skills. Brambles' provides transition assistance programs in cases of termination of employment under certain circumstances. This varies from country to country, but may include outplacement support via career coaching, CV clinics and interview training. a. Percentage of total employees by gender and by employee category who received a regular performance and career development review during the reporting period. Brambles operates a competency framework which allows employees to understand the skills and competencies required to do their job, and which ones need to be developed for career progression. This framework is at the core of Brambles’ performance appraisal systems. Every employee has an individual development plan, with annual objectives and competencies. Every employee has an annual appraisal with their manager. a. Ratio of the basic salary and remuneration of women to men for each employee category, by significant locations of operation. a. Total number of incidents of discrimination during the reporting period. There were no material breaches of the Code of Conduct, including in relation to discrimination, in the bi-annual management declarations for FY18. We did receive, through the Speaking Up Hotline, a number of discrimination allegations (as we do every year). They were all investigated and, where appropriate, disciplinary action was taken. Brambles has a human rights policy in the Code of Conduct.The Human Rights Policy applies to all directors, officers and employees. Brambles is also committed to working with joint venturers, suppliers and other third parties who uphold the principles in the Policy or who adopt similar policies within their businesses. Suppliers and other third parties are asked to acknowledge Brambles’ Supplier Policy, which is aligned with the expectations and commitments of this Human Rights Policy. Brambles' supplier policy is integrated into the on-boarding process for new suppliers In Procurement, which is responsible for sourcing raw materials, real estate and business services. Brambles also publishes a statement in response to the UK Modern Slavery Act. There were no material breaches of the Code of Conduct relating to child labour, in the bi-annual management declarations, or otherwise, in FY18. Brambles has a Sustainability Risk Committee whose function includes assessing the sustainability risks to which Brambles is subject. That Committee has assessed Brambles as being subject to the risk of its suppliers breaching human rights (including child labour) in its supply chain and has assessed that risk as possible and with moderate consequences. Brambles has a human rights policy in the Code of Conduct. The Human Rights Policy applies to all directors, officers and employees. Brambles is also committed to working with joint venturers, suppliers and other third parties who uphold the principles in the Policy or who adopt similar policies within their businesses. Suppliers and other third parties are asked to acknowledge Brambles’ Supplier Policy, which is aligned with the expectations and commitments of this Human Rights Policy. Brambles' supplier policy is integrated into the on-boarding process for new suppliers In Procurement, which is responsible for sourcing raw materials, real estate and business services. Brambles also publishes a statement in response to the UK Modern Slavery Act. There were no material breaches of the Code of Conduct relating to forced or compulsory labour, in the bi-annual management declarations, or otherwise, in FY18. Brambles has a Sustainability Risk Committee whose function includes assessing the sustainability risks to which Brambles is subject. That Committee has assessed Brambles as being subject to the risk of its suppliers breaching human rights (including forced or compulsory labour) in its supply chain and has assessed that risk as possible and with moderate consequences. a. Total number of identified incidents of violations involving the rights of indigenous peoples during the reporting period. There were no material breaches of the Code of Conduct relating to indigenous rights, in the bi-annual management declarations, or otherwise, in FY18. a. Total number and percentage of operations that have been subject to human rights reviews or human rights impact assessments, by country. Brambles has assessed the business as a whole, in line with our public statement in response to the UK Modern Slavery Act. We are currently conducting trials of more detailed human rights assessments in our US sites. a. Total number of hours in the reporting period devoted to training on human rights policies or procedures concerning aspects of human rights that are relevant to operations. Brambles’ Code of Conduct includes our Human Rights policy and provides an ethical and legal framework for all employees in the conduct of Brambles business. Brambles implements its Code of Conduct through a variety of training and induction programs. Mandatory annual Code of Conduct training is delivered in 25 languages. a. Total number and percentage of significant investment agreements and contracts that include human rights clauses or that underwent human rights screening. Brambles has not done a comparison of its human rights processes to the definitions specified by this GRI Standards indicator. We will examine the rquirements for future reporting. a. Percentage of new suppliers that were screened using social criteria. Brambles has a human rights policy in the Code of Conduct. The Human Rights Policy applies to all directors, officers and employees. Brambles is also committed to working with joint venturers, suppliers and other third parties who uphold the principles in the Policy or who adopt similar policies within their businesses. Suppliers and other third parties are asked to acknowledge Brambles’ Supplier Policy, which is aligned with the expectations and commitments of this Human Rights Policy. Brambles' supplier policy is integrated into the on-boarding process for new suppliers In Procurement, which is responsible for sourcing raw materials, real estate and business services. Brambles also publishes a statement in response to the UK Modern Slavery Act. a. Number of suppliers assessed for social impacts. Brambles has assessed its supply chain as a whole, in line with our public statement in response to the UK Modern Slavery Act. Brambles is also creating a customized approach, under which such lumber suppliers will undergo an enhanced due diligence program. Currently, Brambles conducts enhanced due diligence for repair, labor, and transportation suppliers through the global onboarding program. This will also be extended over time.We have identified the countries and positions most at risk, using various publicly available sources including the US Department of State Report on Human Rights (2017 Country Reports on Human Rights Practices). While we have identified risk areas in our own operations, our primary area of concern is in our supply chain- and those entities who supply lumber, manage our repair facilities, provide labor, transportation or logistics services. As a result of this assessment, we are building a third party due diligence program that requires enhanced due diligence of such suppliers. This due diligence program, which has launched in Asia, is being rolled out across our operations now. There were no material breaches of the Code of Conduct, including matters relating to human rights in the supply chain, in the bi-annual management declarations, or otherwise, in FY18. a. Percentage of significant product and service categories for which health and safety impacts are assessed for improvement. codes, a brief statement of this fact is sufficient. Brambles' businesses meet applicable product and service information and disclosure requirements, where relevant to the regulations of the countries in which they operate. Brambles did not receive any significant fines or non-monetary sanctions for non-compliance with laws and regulations relating to the provision and use of products and services during the Year. Brambles conducts business in accordance with the laws and regulations of each country in which a Brambles business is located. There were no material breaches of the Code of Conduct relating to impacts on society in the bi-annual management declarations, or otherwise, in FY18.